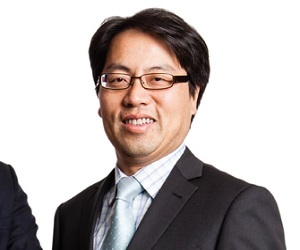 New Zealand’s new direct currency trading agreement with China could have a knock-on effect for local law firms, according to DLA Phillips Fox partners Terence Ng and Martin Thompson. The agreement places New Zealand as one of a “handful” of countries allowed to trade direct their sovereign currency against the Chinese Renminbi and it will therefore be easier for currency traders, treasuries and exporters to obtain direct currency rates, rather than having convoluted and complex cross rates to deal with which will reduce costs, Ng and Thompson tell NZ Lawyer. “As John Key put it in the announcement from the Beehive (19 March) ‘Direct trading will also increase the integration between the New Zealand and Chinese financial systems and deepen the economic relationship between the two countries’,” they explain. However, Ng and Thompson say that for law firms in New Zealand, the main effect of direct trading will be that it lubricates the wheels of trade and investment between the two countries. “The change is part of an increasingly favourable overall environment for trade and investment between the two countries. New Zealand and China’s free trade agreement was the first step. This is a further step. The People’s Daily (English version) called the move ‘pioneering, exemplary’ and cited ‘China has become New Zealand’s biggest trading partner, top country of origin of foreign students and the second largest country of origin of tourists’,” they say. The partners also add that the relationship between the two countries is seen very positively in China, with Prime Minister John Key being given an invitation for a rare private dinner with China’s president Xi Jinping.